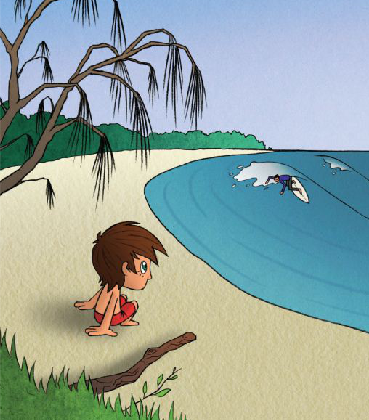 LITTLE DUDE Michelle Hennessy is the local author of a children’s book called “Little Dude” that is set in the precincts of Peregian Beach on the Sunshine Coast. The illustrations are fabulous, and are penned also by a local by the name of Luke Hartland. Together you have a great value little book about surfing and the creatures of the sea that you can read to your kids and they will be thoroughly entertained.